Today, Mar d’Estórias talks about the culture and the performing arts of the Experimental Theater of Lagos (TEL), which, when trying to dynamize the artistic offer, invited us to participate in an event as a cultural and gastronomic space. We will host the event “Por Sons Nunca Dantes Navegados“, which will take place on 22nd March at 7:00 p.m. This will be a moment of performative art for reflection that will consist of a sound trip by André Duarte (Júnior) and Tiago Rouxinol, accompanied by a blindfolded dinner. More than the path of “Teatro Experimental de Lagos” (TEL), rooted in the Lagos culture since 1972, Mar d’Estórias shares the story of one of the oldest cultural associations in the Algarve from the perspective of two people who have marked TEL – Silménia Magalhães and Nelda Magalhães. Mother and daughter, at different times, dedicated themselves and continue to live close to the performing arts community, tracing the path of the Experimental Theater of Lagos to the present day. With more than 40 years’ experience in the Lagos theatre, Silménia began as an actress when she was only 18, confessing that “I learned a lot at all levels. I learned when I performed, from the actors I got to know, the cultural knowledge I acquired “. After two years in TEL (1997), the group was very amateur, so she organised a three-month intensive workshop with set designers and professional actors to teach the group. 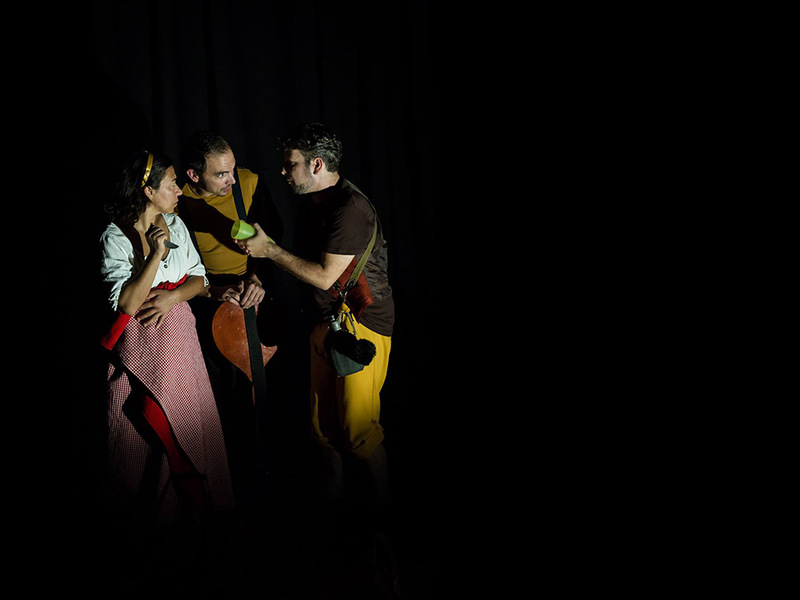 All the effort was to help the Experimental Theater evolve, a constant feeling and struggle during Silménia’s 17 years as the director of TEL. Nelda says that sometimes she used to attend her mother’s rehearsals and often “replaced the missing actors”, but only entered the structure later when she was already in university. Nelda’s training in Cultural Communication in Lisbon, the connection with professional animators and her work as a production assistant in Chapitô always connected her to the arts. So, it came as no surprise when her mother called her in 2002, when the association came to have a leadership composed mostly of young people. This was the condition that allowed TEL to apply for the support of the RENAJ program of the Portuguese Institute of Youth and Sports (IPDJ) to coordinate the youngsters to perform outdoors, such as shows for the Festival dos Descobrimentos that started to emerge in Lagos. With Silménia and Nelda, the TEL developed around the local community, with youth projects with a passion for the arts, but not only that. International training (in Hungary and Slovakia) led Nelda to take on a different way to energise the Lagos Experiential Theater, expanding it to artistic pedagogy, which opened the doors to a much-loved project – NAIA, a project dedicated to the training and cultural intervention of children and young people. Parallel to this, TEL maintains street, stage and poetry work, the latter of which fosters a link “between the younger and older members of the structure,” says Nelda. In addition, there are other activities such as reading mediation, by the Grupo Contador de Histórias of TEL, as well as a collaboration with autarchic, cultural and heritage entities. This is the case of the event “Por Sons Nunca Dantes Navegados”, which we are participating. On one hand we believe this event brought Mar d’Estórias closer to its cultural side and in its relationship with the community and local associations; on the other hand, we know for sure it will be a cultural experience to reflect, taste and feel, at Mar d’Estórias.